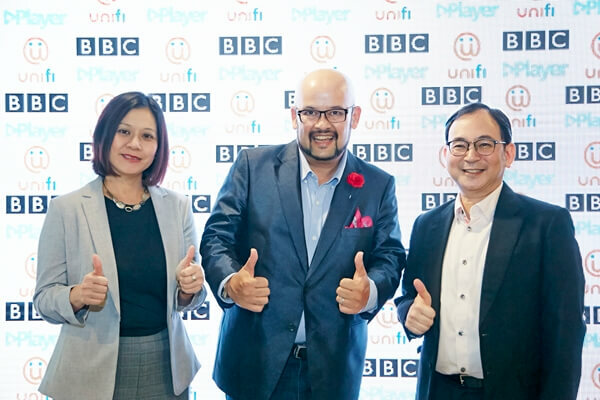 BBC Studios and unifi TV unveiled the expansion of the BBC Player service, enabling all 2 million unifi and Streamyx customers to enjoy the best of British documentaries, dramas, comedies, lifestyle and preschool programmes via streaming and downloading. Previously, BBC Player is available only to subscribers of unifi TV’s Ultimate pack. Unifi subscribers can now enjoy it for FREE for 30 days. 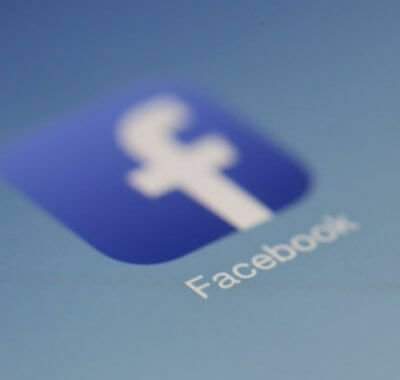 “More and more viewers are going to online platforms in search of interesting programmes to watch. 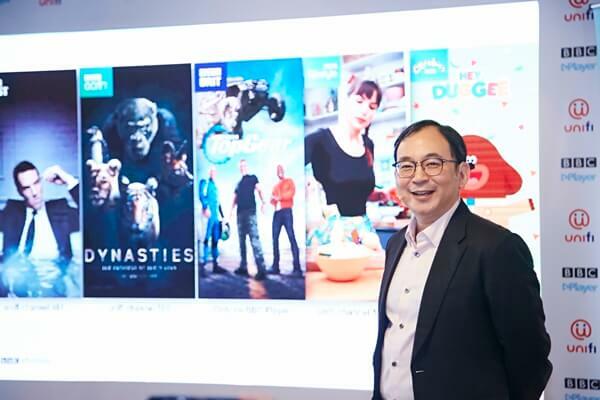 The Malaysian audience on BBC Player has steadily grown since the service was launched in early 2017, signaling an increasing appetite for our content online. Dramas like Victoria, lifestyle programmes like the award-winning The Great British Bake-Off, our blue-chip natural history programmes like Blue Planet II, and the ever popular irreverent Top Gear, consistently top the charts as the most-watched programmes by unifi’s Ultimate Pack subscribers, on both BBC Player and unifi TV,” said Ryan Shiotani, Vice President, Content, Asia of BBC Studios. 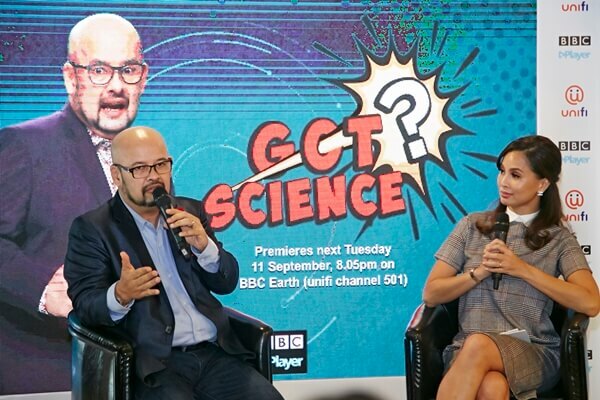 BBC Studios also announced the launch of “Got Science?” – an entertaining science magazine show hosted by the godfather of Stand-Up Comedy in Malaysia and winner of Laugh Factory’s ‘Funniest Person in the World 2016’, Harith Iskander. In this BBC Earth original commission, Harith Iskander explores and explains the science in everyday life using reason, logic, and science. Some of the themes explored in the series are food, health and fitness, sport, anatomy and technology. Fast-paced and packed with information, Harith threads these stories together in his inimitable light, almost tongue-in-cheek manner through his running commentary and funny one-liners. Popular myths like durians and alcohol will kill you, and MSG is bad for you are just some topics covered in the new series. Got Science? will be aired on BBC Earth every Tuesday, at 8.05pm, and will be available on BBC Player at the same time. Donal’s Asian Baking Adventure – which follows Irish food writer, photographer and television presenter Donal Skehan as he discovers the flavours and secrets of Asian baking, with stops in Japan, Korea, Hong Kong, Macau, Singapore and Malaysia. Patrick Melrose – The Emmy-award nominated drama, based on the semi-autobiographical novel series from Edward St. Aubyn, Patrick Melrose (played by Benedict Cumberbatch) is the study of a wealthy, damaged man. The five-part drama follows him from his dreadful childhood, and his adult struggles with substance abuse and later quest for recovery. MasterChef UK (series 14) – The world’s most successful food format, MasterChef sets out to find the UK’s best amateur cook. A cook whose talent and passion could transform their life. Only one will be crowned the nation’s MasterChef. Series 14 brought to the world stage Malaysian Zaleha Olpin, whose chicken rendang was deemed “not crispy”. Blue Planet II – seven-part award-winning landmark series from the multi-award winning BBC Studios Natural History Unit, was the UK’s most-viewed television show of 2017 and continues to make waves. Narrated by Sir David Attenborough, the series involved 1406 days filming including four years underwater, was filmed in depths as far as 8km deep, and spawned 15 new scientific papers on new behaviour captured, and had a confirmed over 25 filming firsts across the series. The Graham Norton Show – in which British Academy of Film and Television Arts (BAFTA) award-winning comedian Graham Norton hosts his long-running, eponymous talk show on which he discusses the people, trends and news stories that interest him the most. Hollywood A-listers like Tom Cruise, Rihana and Will Smith regularly show up to partake in the fun and games. 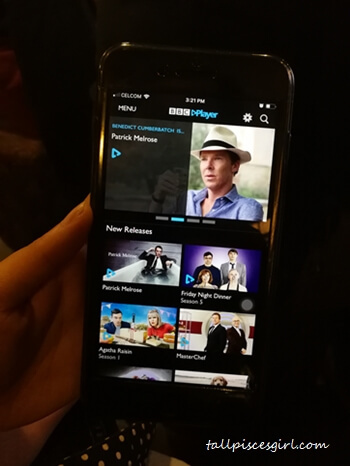 BBC Player App is available at Apple and Google Play store, and online at www.bbcplayer.com. To activate the 30-day free trial for unifi subscribers, you just need to sign in to the BBC Player app or website while on your unifi home broadband network. 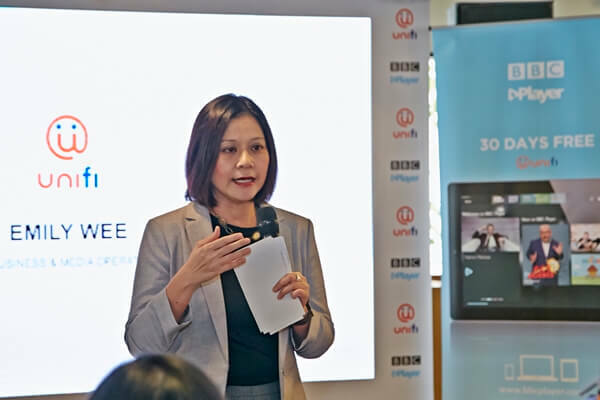 After the 30-day free trial, the subscription will be priced at RM10 a month and the BBC Player subscription fee will be reflected in the your unifi monthly bills.